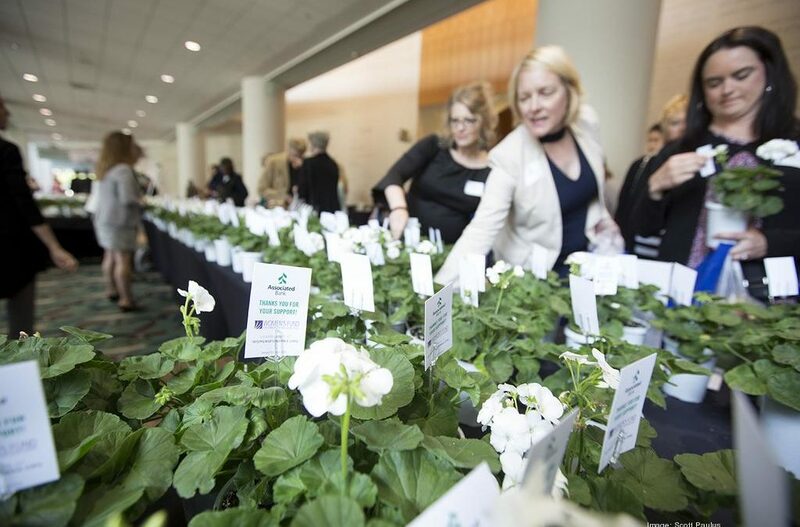 The Wisconsin Center in downtown Milwaukee was filled with plenty of joy in June as 29 southeastern Wisconsin businesswomen were recognized for the commitment to their careers and community during the Milwaukee Business Journal’s 2018 Women of Influence awards. The Women’s Fund of Greater Milwaukee was selected by Associated Bank, the main event sponsor to partner and celebrate together. Attendees were invited to make a donation as they picked up a “surprise and delight” gift from Associated Bank. We are grateful to have been chosen for this partnership and are very proud of our connection to Associated Bank. Thank you, Associated Bank! Congratulations to all of the WOI honorees, including Mary Jo Layden, former WF Board Director, pictured second from left.